What is this strange sounding condition? An aortic aneurysm (thanks to www.northstatevascular.com for this image) is a bulging out of the normal caliber of the aorta, the main artery coming from the heart and going down along the spine just behind the back of the abdominal wall. 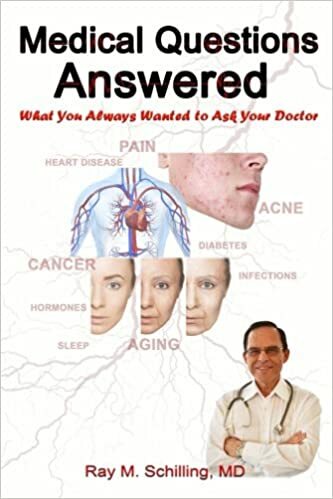 Two main risks are smoking and high blood pressure, both of which accelerate arteriosclerosis and lead to a softening of the wall of the aorta. As the aortic wall gets soft with a loss of supportive elastic fibers and a breakdown of the lining, a bubble of the diseased aortic section forms, which at one point ruptures suddenly. Most of the aortic aneurysms form in the aortic section underneath the level where the kidney arteries branch off and the bifurcation into the iliac arteries at the pelvic floor. The cardinal symptom for a developing aortic aneurysm is abdominal pain. As the aorta is situated so far in the back, the piercing deep pain is often felt in the lower back region and might be mistaken for lumbosacral, musculoskeletal pain. There may be a new pulsating feeling deep in the mid abdomen. Often the physician can gently verify through palpation that this actually is so. The pain tends to be steady and the location of the pain is dictated by the location of the aneurysm. It would be in the central region of the abdomen, but can be in the epigastric region (upper mid abdomen), in the mid abdomen or in the suprapubic area (lower mid abdomen). 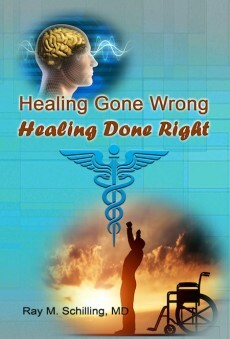 It is important both for the physician and the patient not to rest until the cause of the pain has been identified. This might be the patient’s only chance for survival as a ruptured aorta has a high mortality rate through internal bleeding. The key investigation is to order an abdominal ultrasound right away. It can help in sizing the aneurysm. 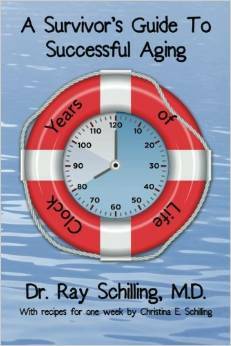 Occasionally a CT scan or MRI scan is done in addition, but often this is not necessary. What is necessary is that a cardiovascular surgeon assesses the patient. 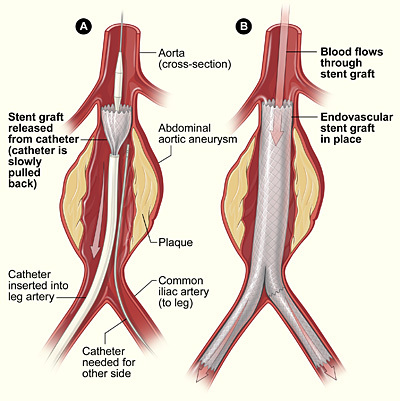 The specialist may order abdominal aortography, an X-ray procedure where a catheter is introduced through a needle into the femoral artery and advanced into the aorta. There a contrast material is injected, which gives a clear picture of the exact formation of the aneurysm. After this the cardiovascular surgeon will then know exactly what section needs to be removed. If surgery is done on an emergency basis for an aortic dissection or ruptured aneurysm the patient’s mortality risk is 50%. 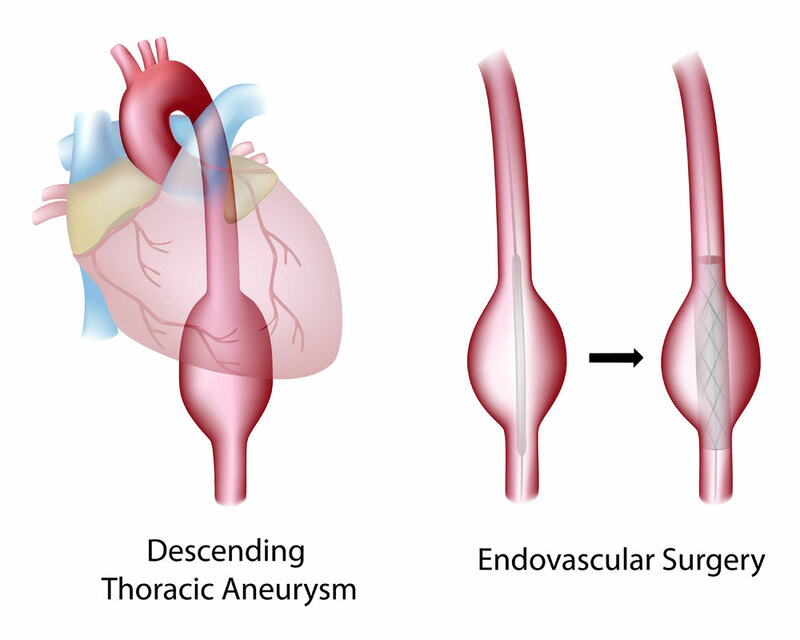 However, if the patient reports the early symptoms mentioned above and the aneurysm is diagnosed earlier, the patient’s mortality risk from an elective surgical procedure to repair the aortic aneurysm is only 2 to 4 %. 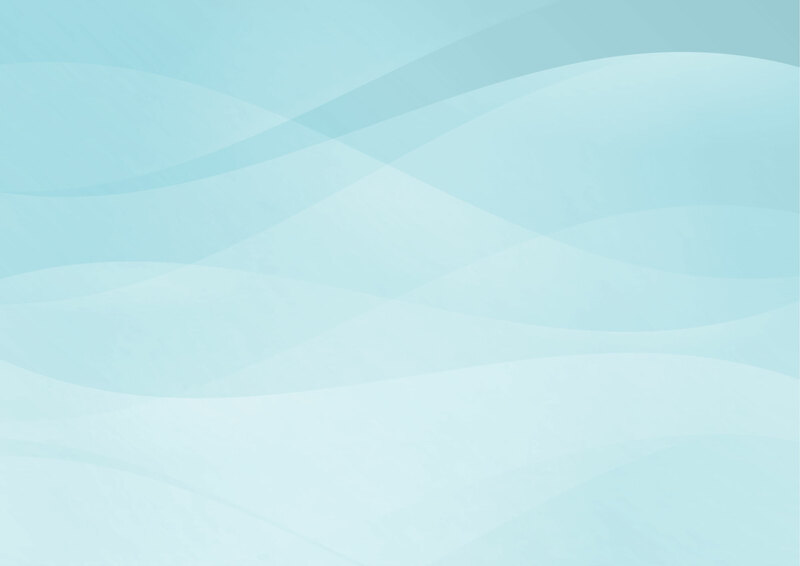 Here is a link to a site with images and information about surgery for aortic aneurysms. 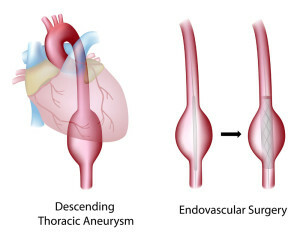 There are newer endoscopic procedures where the Seldinger technique is used to place a stent to overbridge the aneurysm (thanks to www.daviddarling.info for this image).